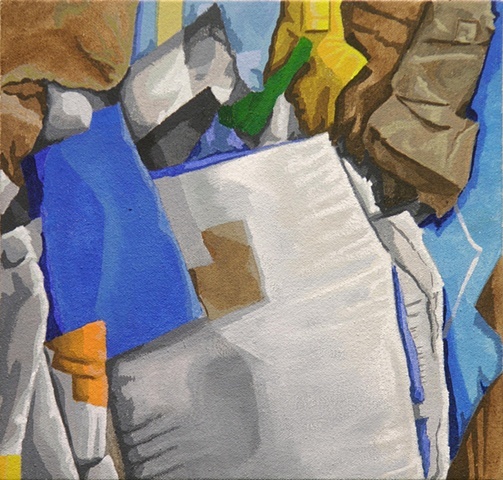 This painting is a continuation of my exploration of crushed garbage as a source for making paintings, in my on-going pursuit to find interesting compositions and fantastic color clashes. With "Ocean" the gentle gradations and juxtapositions of soft colors of white standing in front pale brown tones of raw cardboard continues looking at the subtle sides of these paintings while the strong colors dancing in front of one another add dashes of excitement still to this new work. Enjoy.